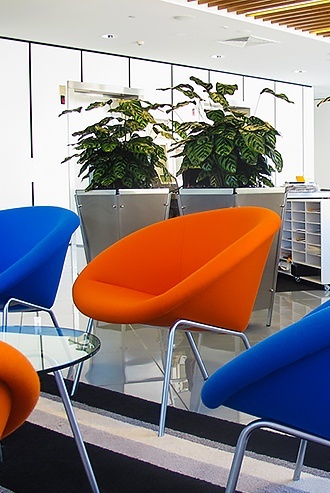 Your staff’s focus and the ability to learn also relies heavily on your office’s environment. If you’ve ever tried to work in a noisy, uncomfortable or unpleasant office space, you’ll likely know how difficult it is to concentrate under such conditions. As humans, we find it difficult to learn without the basics – a happy, well-lit environment with plenty of fresh air. Every expert will tell you that coffee and sugar laden foods aren’t the answer to creating a lively, productive team. This can easily be seen by looking at your team members with the highest energy levels – they’re likely regular exercisers who eat well and love the outdoors. Providing good lighting, promoting regular short breaks and plenty of fresh air are proven ways to keep your staff healthier and more focused. Once one of your team gets ill, you’ll likely see the chain reaction quickly take place and productivity drops as result. This can be extra concerning if you have sales, project managers or support people that get ill, as your client relationships rely on these team members. While some staff can focus while listening to music or meditation sounds, general clutter and noise can quickly distract an employee’s attention and ability to learn. If you’ve noticed staff wearing headphones to block out office noise, then this is a red flag. While different people cope with stress and challenging situations in their own ways, you can be sure that stress does not lead to employees learning or producing their best work. Providing your team with a comfortable, safe and relaxed work environment can go a long way to reducing stress and improving focus and learning. In recent years, many companies have introduced “hot desking”, stand up desks and other initiatives to keep their staff positive and focused – often called increasing the ‘office vibe’. But with these initiatives, your team may still be feeling trapped and as if they’re not moving forward as a result of being surrounded by the same four walls. Experts and researchers have been studying how office pants are one cost effective way to combat all of these 5 challenges, to increase your team’s focus, ability to learn and productivity. Indoor plants are proven to enhance our ability to focus. One study in a Netherland’s tax office found that indoor plants improved concentration significantly, another study found people working at a computer for over four hours a day are more productive when plants are nearby. Like learning, another thing to consider is the growing evidence that plants increase our capacity for creative thinking because plants influence employees perceptions of their workplaces, and improve their attitudes toward their jobs. Plants influence an employee’s perception of their job. Participants in a study conducted at the University of Michigan showed improved alertness, happiness, and tranquillity after just an hour of interacting with plants. According to researcher Marc Berman, “Interacting with nature can have similar effects as meditating.” Plants provide a focal point of interest, help stimulate the mind and keep it alert, all factors required for learning and focus. 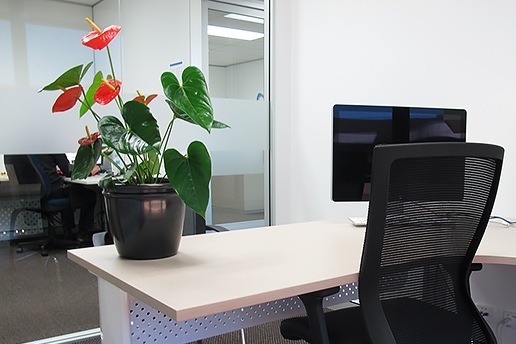 Office plants also significantly improve your office’s natural air quality and reduce health symptoms that prevent employees from learning, such as headaches, coughing, breathing difficulty, allergic reactions, and skin irritations. Plants also increase relative humidity, alleviating the itchy eyes and congestion that come with dry air. By cleaning the air, indoor plants enhance our comfort and health, which facilitates focus and learning. Research has shown that improving your office’s air quality with live indoor plants, can increase your employee’s focus, learning ability and productivity by up to 15%. UTS researchers discovered that just a small number of indoor plants in the right places can provide better indoor air filtration, to the point that plants are now being used to complement, and even replace mechanical filtration – of course this is how our planet works by design. Plants are highly effective noise buffers. Plants can quickly absorb and remove sound and the background noise when placed strategically in the right places around the office. Noise is a constant trait in most offices due to team chat, phone chatter, your lunchroom, staff’s computers, footsteps on hard floors, visitors, air-conditioning systems and the list goes on. Noise can be distractive and make employees less productive, and just as detrimental, impact the customer experience. 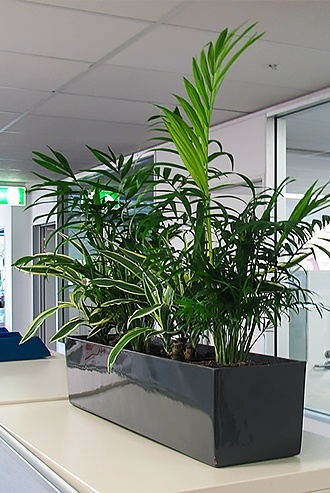 Office plants provide a welcoming environment while reducing unwanted office noise, and they also help provide privacy by physically separating your employees from each other, all factors to reducing distraction and improving focus and learning. A drab and dreary office can be the most toxic place you can put a person into, says psychologist Dr Chris Knight from Exeter University, who has been studying the issue for 10 years. Collaborating with four universities in Australia, the UK and the Netherlands over the course of a year and a half, Dr Chris Knight and his colleagues visited a number of workplaces across Europe as part of his research. What they found by running a number of experiments, including stripping offices of all the niceness, is that companies that are consistently improving their office space and work environment, including with simple office plants, see productivity improvements of up to 15%. Dr Chris Knight found that when plants are brought into an office, employees happiness, performance and memory retention improved substantially. This is rather remarkable when you consider the financial impact – if you provide office plants for just 7 employees, the increased employee output could be same as hiring another team member. 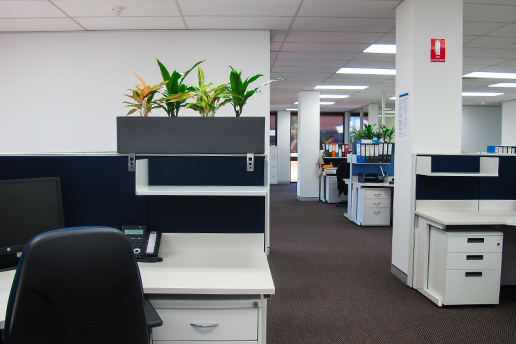 Indoor plants are a cost-effective way to improve your employee’s ability to learn and output. 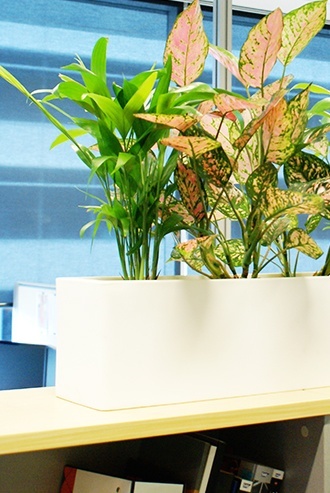 Office plants are portable and a low-maintenance way to improving the quality of your office’s air and make your office a happier, more positive place to work. 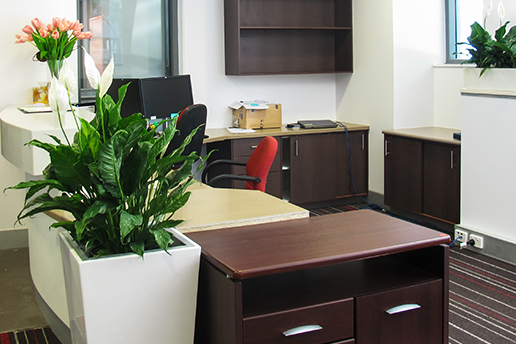 At Prestigious Plantscapes, our plant designers will determine the best varieties of indoor plants to achieve clean air and an office vibe that lends itself to your staff being more productive. 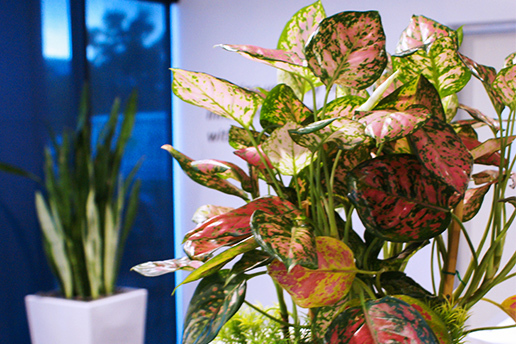 Part of what we do is work out the best places to place the indoor plants to achieve a striking aesthetic look that will bring out the best in your team.